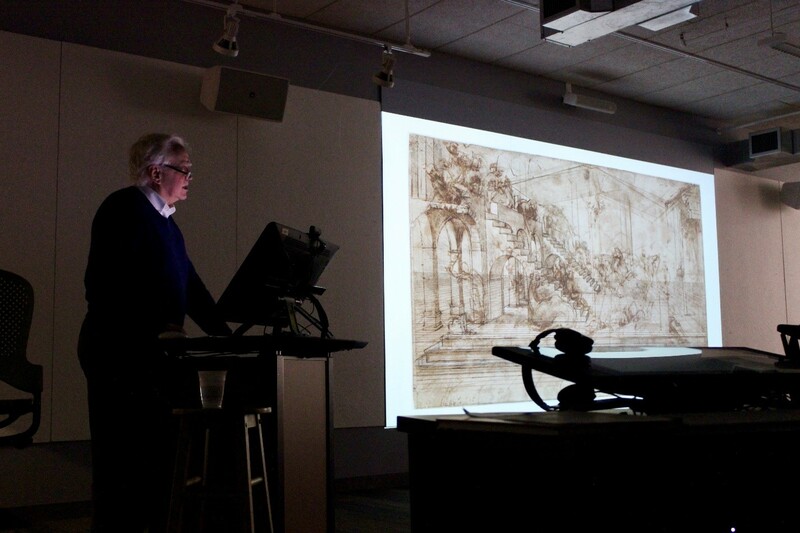 “I really had no ability to capture a landscape in drawing or painting until I discovered Claude [Lorraine’s] drawings,” he said, citing the 17th century French painter as a major influence. Babb’s world, however, looked vastly different from the Italian ports Lorraine favored. Boston, his city of residence, lacked the wide open skies and mossy ruins of Rome—yet he saw an opportunity for creation. Boston would be his muse. To create this piece, Babb spent a lot of time taking 4×5 inch photographs from the roof of 500 Boylston Street in Boston. The work takes on a previously unseen level of detail that he says was inspired by two shows he had seen before doing the painting. The first was an exhibition of the Baroque painter Canaletto, whose epic landscapes depicted both city and country. The second was an exhibition of Richard Estes paintings, a painter whose New York street scenes are almost indistinguishable from photos. 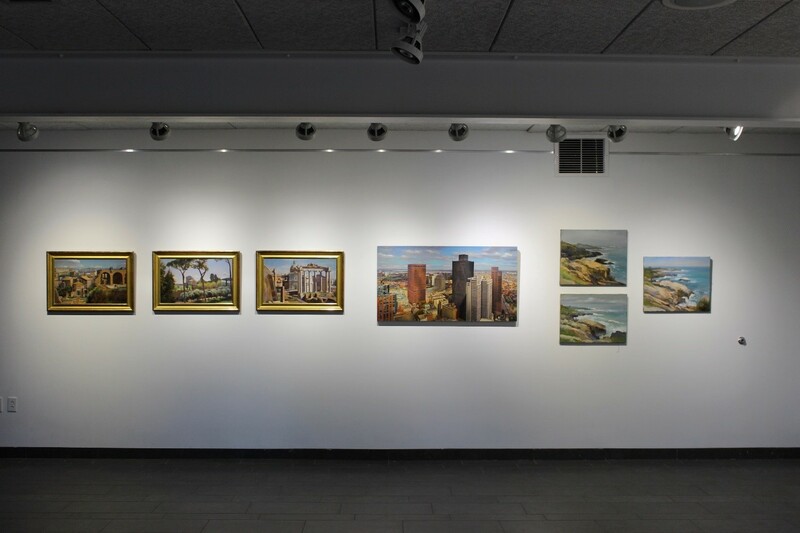 Babb used both artists’ techniques of capturing light and defining depth and perspective to create a modern tribute to landscape artists of the past.